[mine] creative space and art gallery is delighted to be presenting a solo show for watercolourist Anthony Lawman. Anthony was born in Storrington, Sussex in 1943, and his introduction to art began at school in Bristol in 1956. Having been brought up in the country, it was a natural progression into painting, and a love of the English countryside. He joined Tadworth Art Group in 1989, and worked with Doug Baldwin for many years, eventually succeeding him as Chairman. In Tony's own words he "owes a great deal to my family, those that have inspired me, and those that have mentored me, and who have opened my eyes to appreciate the beauty around me in this England and the joy of working in Watercolour". Tony has undertaken many commissions over the past years. These include landscapes, marine studies and personal homes. He currently teaches and demonstrates to art groups and societies around the south east of England. 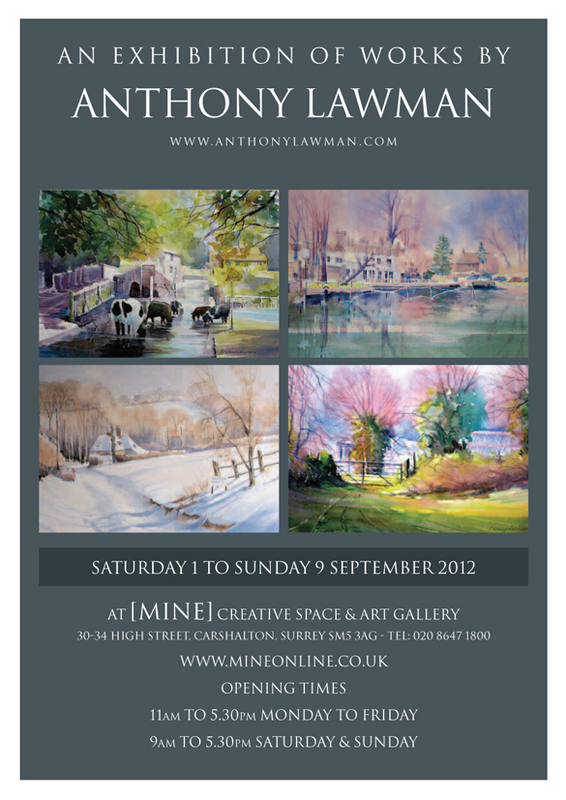 Anthony's show at [mine] will be his first solo exhibition.